Feel-good novel. Taste that word! I like it. I’ve just returned from a weekend up north here in Sweden, in a former mining town called Falun, home of the Falu red, the deep iron-red color so deeply associated with Swedish timber homes. The Dalecarlia Book Fair had invited me to participate as an exhibitor and to speak on a panel discussion about writing. While not the typical audience for an author of LGBT literature, I had a great time. I met new authors, saw old friends again and finally got that input I’d been so desperately seeking about my writing: feel-good. Returning to the Land of the Morning Calm, my coming feel-good novel about a Korean War veteran. 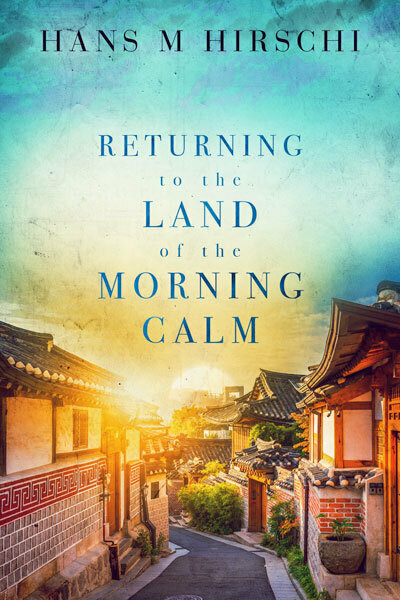 Last week, in my monthly newsletter, I revealed the cover for my coming novel, Returning to the Land of the Morning Calm. And the label “feel-good” fits that book like a glove. While some of my previous books may have been very dark, really going deep into the dark side of life, dealing with diseases and loss, the new one is on the lighter side. There are plenty of scenes to cry to, of course. But it’s a novel that doesn’t really have any misery in it. It’s not fluffy either. Melancholic? Yes. Reminiscing? Definitely. Romantic? Of course. There is humor, there is warmth, there is plenty of love and the book’s red thread is my firm belief for the betterment of humanity, that we are all on a path to a better world, despite what the world often seems to look like on the outside. 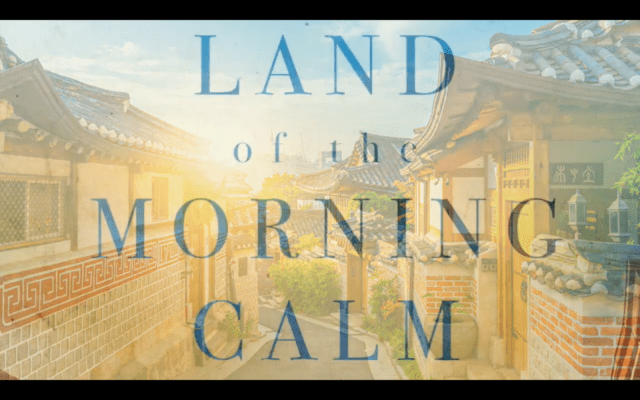 The cover for Returning to the Land of the Morning Calm was designed by Natasha Snow. She’s worked with me and my novels since 2014, and my darkest novel to date, The Fallen Angels of Karnataka. Even that book, with its dark topics of child abuse, trafficking, and pedophilia is a feel-good novel because it makes you feel good for the world in the end. It was that novel that provided me with my honorary title of “Queen of Unconventional Happy Endings”. I don’t shy away from difficult topics. But misery for the sake of misery is worthless, literary maybe, but I want to provide myself and my readers hope. In Falun, a spectator asked us about the most difficult aspect of our writing. My answer was simple: writing blurbs. But that wasn’t entirely true because the night before I had been pondering about my elevator pitch. I usually say I write “contemporary gay fiction” in English. But that doesn’t really capture it all. It most certainly doesn’t capture the mood of my books, how they work, how they make you feel. In hindsight, I should’ve said the elevator pitch. You know what it’s like. You always come up with the best answer when it’s too late. But this weekend was amazing because it feels like I’ve finally come home. I’ve found a term to describe my writing that I can fully embrace, a term that fits me like a glove, and that alone is worth a lot. I’m aware of course that the term isn’t used as a genre term in English, but who cares. I think most readers will understand what I mean when I say “I’m a writer of gay and LGBT feel-good stories, stories you’ll remember.” Right? To learn more about my upcoming novel, check out its page where you’ll also find pre-order links to all major outlets. I can’t wait for you to read the story of Martin and Ji-Hoon. As always, if you like my blog, my writing, feel free to subscribe to my monthly newsletter (link to be found top right on this site) with competitions and hopefully interesting reading. Interact with me on Twitter, Facebook, YouTube, and/or Instagram. Gorgeous cover and I love the trailer too. And I’m happy you’ve found a genre definition that speaks to you. Good luck!